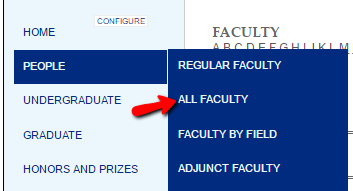 Faculty and Graduate students in the economics department are able to edit their own page. Go to http://econ.columbia.edu/user and login with your UNI and password. This editor lets you update every item on your page in an easy-to-follow field based system. Most fields are simple text inputs. You can also upload documents in certain fields such as your CV. To do that, click the ‘browse’ button, locate the file you want to use from your local computer, and then click the upload button. Once you are done making changes, remember to scroll down to the bottom of the page and click the “save” button. Please note that while you will see the changes immediately while you are logged in, it takes anywhere from 10~30 minutes for changes to be pushed to the live site. Other people will not see your change right away.